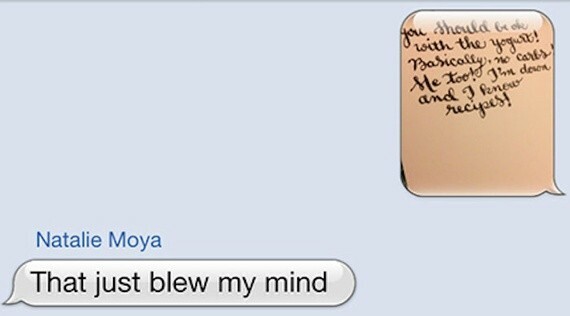 Graphic designer Cristina Vanko replied to her friends’ text messages through awesome calligraphy for one week. The 24-year old graphic designer broke the rules of one the most modern form of communication in this week-long experiment. Instead of using her smartphone’s keyboard, she took the creative way by hand lettering replies to her text messages. Imagine receiving a reply with the level of creativeness that is tantamount to that of an elegant wedding invitation. She said that the experiment gave her the same level of excitement she feels when receiving a hand-written letter, something that is very rare nowadays. She felt that it made the conversations more intimate and it also allowed more room for self-expression through the different styles she created. The most important thing that we’ve learned from this experiment is that because it takes time to create calligraphy, she was forced to use language efficiently and she was freed from responding urgently. Through the experiment, she learned that: handwritten messages made people feel special; handwriting allows more self-expression; we rely heavily on emojis; sometimes you don’t need to respond; a phone isn’t only a texting device; people don’t expect phone calls anymore; pen and paper is handy at all times; her messages were more thoughtful; and she became more careful with grammar and spelling.